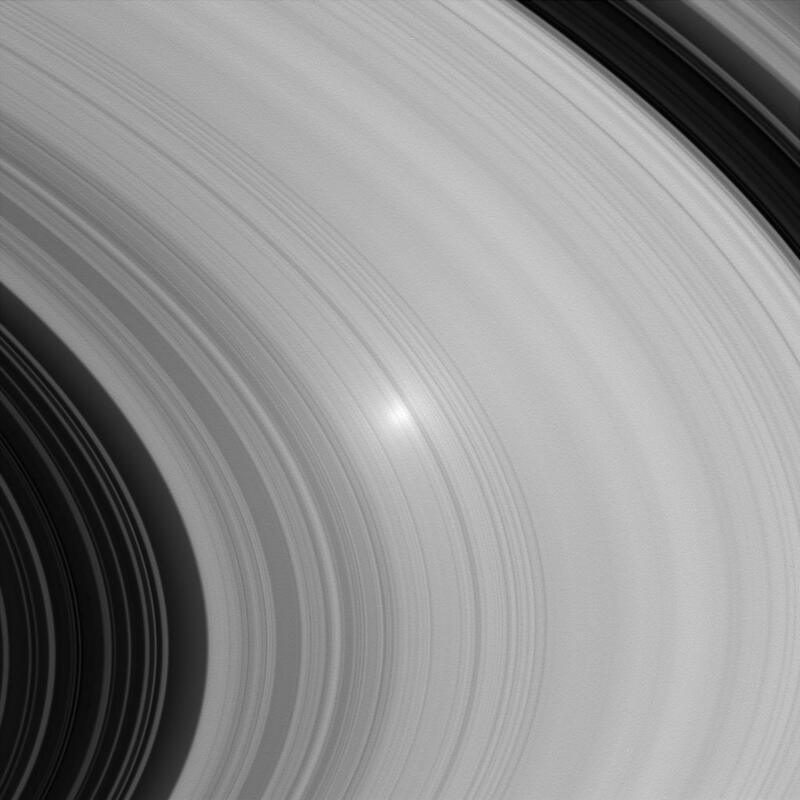 The "opposition effect" can be seen in this image of Saturn's B ring. The bright spot occurs where the angle between the spacecraft, the Sun and the rings is near zero. Studies of the opposition effect on Saturn's rings may help scientists constrain some of the properties of ring particles, such as their sizes and spatial distribution. Another recently released image from Cassini also shows this interesting effect of viewing geometry (see PIA07543 ). The image was taken in visible light with the Cassini spacecraft wide-angle camera on June 26, 2005, at a distance of approximately 478,000 kilometers (297,000 miles) from Saturn. The image scale is 3 kilometers (2 miles) per pixel.